Ecuador is committed to automating its electoral system by 2017. The goal looks attainable more than two years away from the deadline, as the country has been preparing to migrate from manual to electronic voting, keeping in mind all the steps that guarantee the successful adoption of electoral technology. Last February, the country experienced a binding pilot test that cleared all doubts about the efficacy of vote automation. The provinces of Azuay and Santo Domingo de los Tsáchilas tested two kinds of electoral technology, which not only enabled nearly one million Ecuadorians to vote securely—according to the electoral body— but also helped to determine the financial and logistic requirements of extending the use of technology throughout the nation. For example, in Santo Domingo de los Tsáchilas, the National Electoral Council (CNE) certified the ease of use of the devices provided by Smartmatic, in which voters’ interaction with the touchscreen machines was simple and quick. The electoral body highlighted the optimal performance in the capture, counting, totaling, and transmission of votes, which made it possible to publish results with 99% of the tally just one hour after the polling stations closed. Besides, audits were performed after the election, which matched the automated results with manual counts of vote receipts emitted by the machines. In Azuay, where machines provided by Magic Software Argentina (MSA) were used, the process was also positive in spite of the suspension of elections at the Ponce Enríquez district. 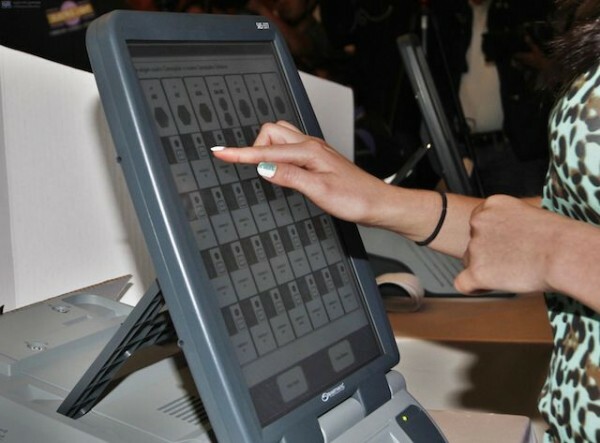 Rather than e-voting, this system is based on electronic tallying, since the machines do not register votes but a chip on each ballot stores each vote in order to be counted later. The obstacles faced by this mode were eventually overcome and the process continued normally, which led the authorities to highlight the strength of the technology to solve contingencies. After this experience, the National Electoral Council announced that it would follow the recommendations from the Electoral Mission of the Union of South American Nations (UNASUR) and the Inter-American Union of Electoral Bodies (UNIORE), inviting the country to carry out a compared evaluation of the automated practices employed and define the technological solution to be applied, considering the recommended criteria regarding blank votes, single screens, voting booth upgrades, among others. Trust in every electoral system is based on it being capable of registering votes faithfully, preserving their secrecy—both in terms of selected options and voter identity—, arrive at tally results that respect the voters’ selections, guarantee that results cannot be altered, enable the auditability of the processes, and make the voting method easy for everyone. Compliance with these demands makes an electoral process efficient and reliable, and that is Ecuador’s bet for the future. The Dominican Republic, Colombia, and Chile have recently placed under public scrutiny the need to open space for e-voting as a solution for expat suffrage. Expats have been systematically excluded in many nations due to a lack of legislation regulating their political participation and to the difficulties implied by organizing elections outside of the country. Voters abroad usually face difficulties to register and validate their condition of voters, mainly due to the requirement of legal residence from many countries in order to vote or for fear of revealing their migratory status. Besides, there are also quite a few technical and logistic obstacles that hinder the democratic exercise. Some of these are the reception of the wrong electoral material at the embassies and the location of polling stations—usually consulates or embassies—, which tend to be very far from where many citizens live. In light of this reality, Chile began producing the regulations to enable its citizens living abroad to vote, initially at the primary presidential elections. Although new regulations are still pending approval, authorities have already announced that they are debating between implementing traditional paper-based suffrage or taking the leap toward on-site e-voting. On the other hand, the Dominican Republic and Colombia have proposed the use of electoral technology for expat voting on political grounds. However, no matter the reason, proposals for the use of electoral technology bring up the need to stop and think the debate in terms of safeguarding the voters’ political rights abroad. 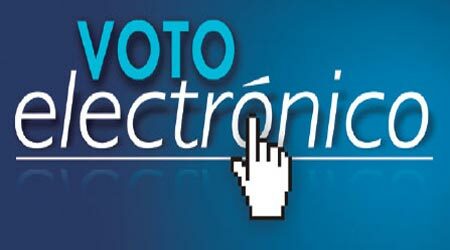 In the Dominican Republic, the Committee for Dominicans Abroad (Codex) demanded the implementation of the e-voting system for the 2016 presidential election. The demand is framed within Electoral Law 275-97, which establishes that the Central Electoral Board (JCE) will regulate the procedure and form of suffrage for the country’s citizens living abroad. This country already has the norm, and now it’s up for the authorities to assume its compliance and proceed to implement the technology. The third country in this triad is Colombia. A few days ago, the Democratic Center Party filed a proposal for an electoral reform project, which introduces e-voting with document verification, i.e., using voting machines that can print paper receipts showing the selections made. These countries can rest assured that e-voting for expats is possible. To name just a few examples of successful experiences, Switzerland and the Philippines have been able to guarantee electoral equality between those who reside within the national territory and those living abroad. This has been possible thanks to their automation models. Brazilian voting machines have numberic keyboards and a biometric identification device, but they do not print vote receipts. This October, Brazil will head back to the polls for an election deemed extraordinary for its impressive numbers: 141.8 million voters will choose from 26,131 candidates competing for 1,709 posts including president, vice president, governors, deputy governors, and federal, state, and district senators. These general elections have become one of the most widely discussed worldwide, not only because they will shape the future of the world’s sixth largest economy, but also because two women candidate for the presidency are ahead in the preference polls. Curiously enough, in spite the photo finish opinion polls are anticipating, there is little concern over what seems to be a daunting task Brazilian authorities have ahead, tallying the ballots cast by more than 141 million people. The reason why no one seems to be worried about such enterprise is simple, Brazil has already been using electoral technology for more than 20 years, and during that time, it has developed an e-voting system that ensures transparency, speed, and security in the results. Brazil has been an e-voting reference since it began automating its elections in the 1990s. Then, the Brazilian Government developed its own technology with support from specialized companies, to automate the voting, tallying, and aggregation stages. 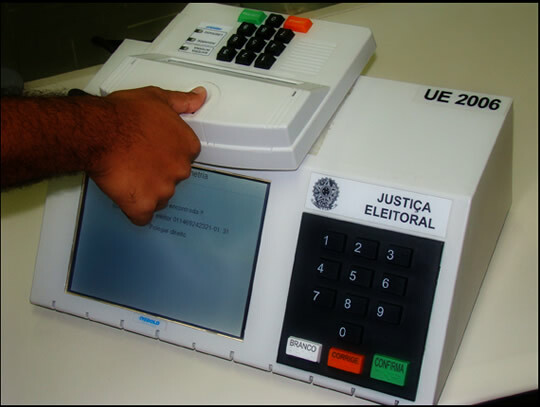 Brazil’s e-voting system is based on the use of a voting machine containing a small screen and a numberic keyboard where voters input in the numbers assigned to their candidates. To confirm their choice, they must verify thire vote on an image appearing onscreen and then press the “confirm” button. During these elections, several precincts will use biometric technology—fingerprint scanning devices—in order to authenticate the identity of more than 23 million voters. At the end of the event, the system prints several minutes with the results of the election. Each of them is stored on magnetic disks and then transmitted through a secure network from the High Electoral Court. The system is subject to several audits and requires electronic signatures from all the actors. Beyond the development of the electoral campaigns and the turmoil they usually generate, this technology is part of the solution, and Brazil is fully aware of it. The country will attend the polling stations with confidence and full assurance in their elections, based on proven and secure e-voting.